Dublin will honor it’s native Luke Kelly on Wednesday with the unveiling of two statues and a tribute concert. Luke Kelly is set to be honored in his native Dublin this week with the unveiling of two statues, as well as a tribute concert. 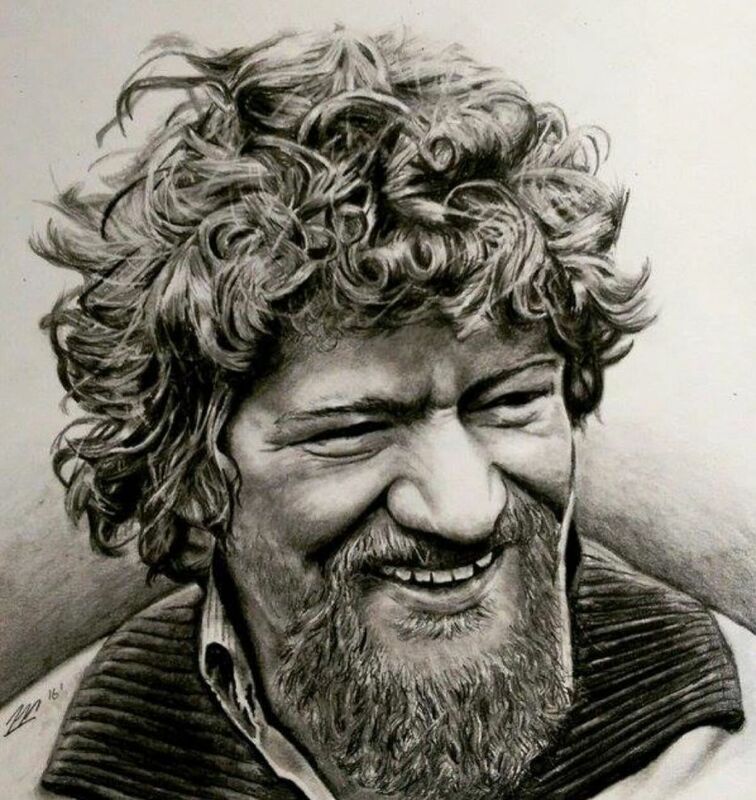 On Wednesday, January 30, the 34th anniversary of Kelly’s death, two separate statues honoring the late Luke Kelly will be unveiled in Dublin, one on the north side of the city, and one on the south. President of Ireland Michael D. Higgins will be officially unveiling the two Luke Kelly statues, which were crafted by John Coll and Vera Klute. The northside statue, placed at South King Street, will be revealed at 2 pm, and the southside statue, placed at Royal Canal, Guild Street/Sheriff Street, will be unveiled at 3:30 pm. Lord Mayor of Dublin Nial Ring will also be on hand for the unveilings. The Irish Times reports that following the unveiling of the two statues, some of Ireland’s greatest talents will come together for ‘The Legend of Luke Kelly’ tribute concert at Liberty Hall in Dublin. Among those attending are the sole remaining member of The Dubliners John Sheahan; actor and singer Glen Hansard; spoken-word artist Natalya O’Flaherty; and singer-songwriter Damien Dempsey. Andy Irvine, Finbar Furey, Aoife Scott, Ian Lynch, and George Murphy are also reported as attending. The show kicks off at 8 pm. Luke Kelly was a singer and folk musician from Dublin, most famous as a member of the band ‘The Dubliners’. Indeed, while Luke often sang of the poor, the oppressed, the worker, the lover or the rebel –the realities of his own life and upbringing enlivened and gave weight to his songs and the emotional way in which he sang them. And his own childhood and youth was anything but privileged. Born on 17 November 1940 to a working class family near the Five Lamps area of Dublin, where in the words of his sister Betty, the family lived in ‘poverty of the utmost’, sharing communal toilets and taps with eight other families. In the mid-1960s, Luke moved to England for a while. On returning, he rejoined the Dubliners. 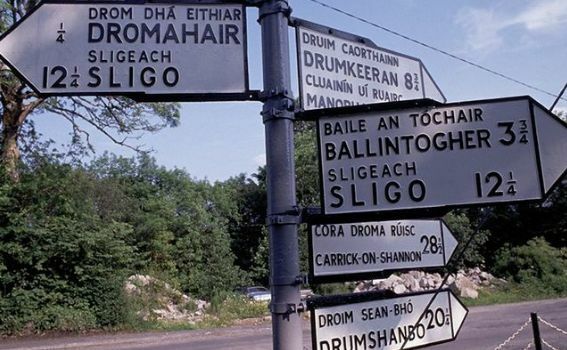 His interpretations of ‘Raglan Road’ (a poem by Patrick Kavanagh) and ‘Scorn Not His Simplicity’ were significant musical achievements and became points of reference in Irish folk music. Luke remained a politically engaged musician, and many of the songs he recorded dealt with social issues, the arms race and war, workers’ rights and Irish nationalism, (‘The Springhill Disaster’, ‘Second World Song’, ‘When Margaret was Eleven’, ‘Joe Hill’, ‘The Button Pusher’, ‘Alabama 1958’ and ‘God Save Ireland’ all being good examples of his concerns). One of the Dubliners’ seminal albums was titled Revolution. In the socially and politically conservative atmosphere of Ireland at the time, this was notable. Luke Kelly was diagnosed with a brain tumour in 1980, and died in 1984. He remains a Dublin icon and his music is widely regarded as one of the city’s cultural treasures. It is an illustration of his pride for his humble origins that Luke Kelly, a man of so many songs and words, now lies in peace in Glasnevin Cemetery where his headstone bears the simple words Luke Kelly -‘Dubliner’. The Ballybough Bridge in the north inner city of Dublin has been renamed ‘The Luke Kelly Bridge’ and in November 2004, the Dublin city council voted unanimously to erect a bronze statue of Luke Kelly. However, the Dublin Docklands Authority later stated that it could not afford to fund the statue. In July 2017, it was announced that two statues to honour Luke Kelly are being planned for his hometown of Dublin. 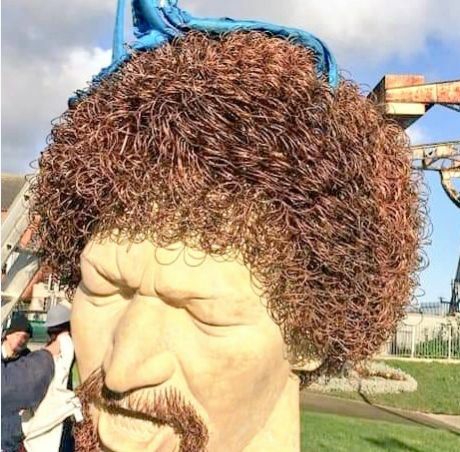 The news of two new statues comes after years of campaigning by Luke Kelly’s family, who were said to have been left bitterly disappointed after previous plans to erect a statue were shelved. 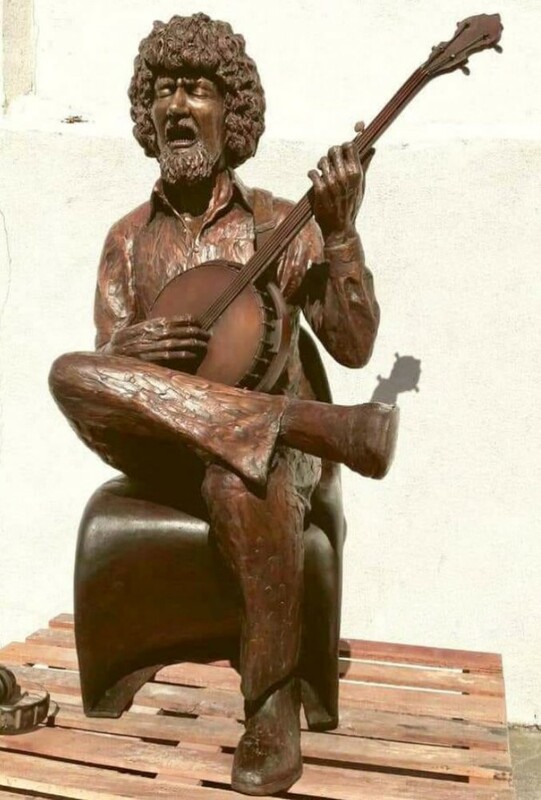 At 2pm John Coll’s (who also created Dublin’s Patrick Kavanagh and Brendan Behan statues) life-sized bronze seated statue of Luke Kelly singing and playing banjo and was donated to the city by the late Gerry Hunt will be located on South King St and is close to the Phil Lynott statue on Harry Street. The second sculpture, a marble portrait head of Luke Kelly, created by award-winning portrait artist Vera Klute, will be unveiled at 3.30pm on Royal Canal, Guild St/Sheriff St. Klute’s piece, which was commissioned by Dublin City Council, is over two metres high and was unanimously selected as the winner of a limited competition established by the then Lord Mayor, Christy Burke in 2014. 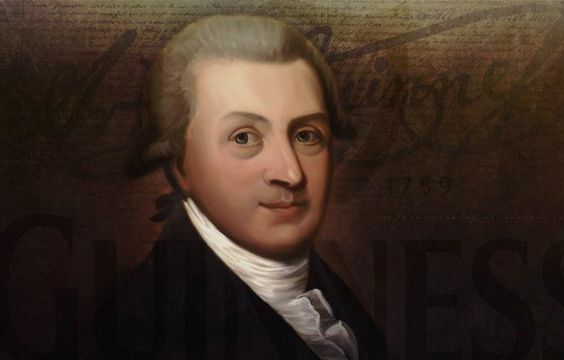 Dublin City Council will also host a concert in Liberty Hall Dublin to celebrate the unveiling of the two statues and to celebrate Luke’s contribution to the Dublin and Irish music scene. December 1983 would be the last time Luke Kelly’s fans would see him perform live. While the toll of his declining health could be seen on his face, he sang his last song ‘The Night Visiting Song’ with his characteristic depth and commitment. It seemed fitting that the opening lines of the song start with ‘I must away now, I can no longer tarry’. Within the following month, Luke Kelly’s mind and body had irrevocably drifted towards that permanent sleep and on 30 Jan 1984, the great performer succumbed to his illness.